How Do Famciclovir (Famvir) Antiviral Tablets Work for Cold Sores? » How Do Famciclovir (Famvir) Antiviral Tablets Work for Cold Sores? 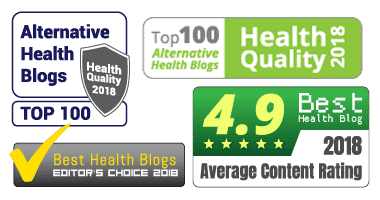 Medically reviewed by Emina Ribic (MD) on August 23, 2018. Written by Linda White (MD). How Long Does Famciclovir Take to Work? Can You Drink Alcohol While Taking Antivirals? Are Antiviral Tablets More Effective Than Topical Creams? Is Valtrex the Same as Famvir? The objective of Famciclovir is to decrease the length and severity of the herpes simplex virus (HSV-1). It is often the medication of choice for people who experience frequent cold sore outbreaks. It was initially marketed as Famvir, but it was discontinued. Generic versions of the drug have been available since 2007. It can treat herpes zoster (the virus that causes shingles), herpes simplex, and genital herpes. 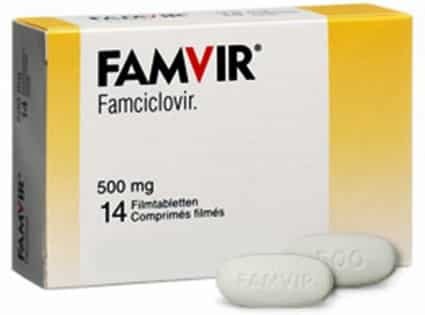 Famciclovir minimizes the risk of viral spreading. This is critical when your immune system is weakened and unable to provide adequate protection, perhaps because you’re immunocompromised. Let’s explore this medication in greater depth and find out if Famciclovir really can fight off HSV-1. We’ll also look at the dosage, how long it takes to work, and the possible side effects. Famciclovir slows the replication of HSV-1, thereby preventing the infection of more cells. Once inside the body, this potent antiviral is converted to penciclovir – this is another antiviral medication. Penciclovir then becomes active within cells that have been compromised by the herpes virus. Penciclovir, when activated, works to halt the replication of viral DNA. Without what is known as a DNA polymerase enzyme, herpes is unable to grow and multiply. This process is necessary for all viruses to be maintained. Once this process is stopped, an active outbreak of HSV-1 is said to be terminated. Once this stage in the treatment process takes hold, the immune system can control the infection more easily. Also taken to control bouts of shingles and genital herpes, Famciclovir is an invaluable drug for people with weak immune health. Individuals with HIV/AIDS, for example, can benefit significantly as it can assist those with extreme immune system suppression. Famciclovir should be taken 2-3 times per day as directed by your primary care physician. This antiviral can be taken with or without food. Best if used at the first sign of an outbreak, famciclovir may not work as effectively if consumption is delayed until an active blister has formed. Like most antivirals, it works best when the drug has built up within your system. This is why it is critical to take this medication in intervals. As a suggestion, you may find it helpful to make a schedule noting which times to take your medication. Unless your doctor has granted you the flexibility, you should never skip or change your dosage schedule. This will not only reduce the effectiveness of the treatment but potentially lead to complications. Always finish the full prescription even if your symptoms have already improved or have been completely healed. The recommended dosage of famciclovir for the treatment of cold sores is 1,500mg per single dosage. This intake can be altered depending on the severity of your cold sore recurrences and if your immune system has already been compromised by a different virus or disease. Famciclovir takes (on average) 24 to 72 hours to work, but those numbers are subjective. The replication and growth of active herpes simplex one will likely stop before you notice any significant changes. Because overall immune health is such a big player in determining the outcome, how well your body responds to treatment will be the determining factor. Being patient is important. Just because you don’t see or feel the results doesn’t mean that the medication has failed. Your primary care physician will likely give you a timetable as to when you can expect results based on the severity of your specific case. Common side effects: These include diarrhea, headache, and nausea. While these issues should be minor, it is essential to contact your physician if they persist or worsen. Serious side effects: Symptoms such as rash, swelling of the mouth and tongue, dizziness, and breathing difficulty are the most severe. You should stop taking famciclovir and seek emergency medical attention if any of these symptoms arise. Your physician has to make a full assessment of your situation before offering this prescription. This directly implies that the pros far outweigh the cons. If you have faith in your doctor, then you should trust their judgment until proven otherwise. Famciclovir will stay in your system (and continue to work) a full 3 to 7 days after you have finished your prescription. Building up over the course of time, the effects of famciclovir typically go beyond the final dosage. While there is nothing to indicate that alcohol consumption will cause a dire situation, consuming alcohol while taking an antiviral is generally ill-advised. Mixing famciclovir with alcohol is self-defeating at the very least. Alcohol can increase the known side effects of famciclovir in addition to weakening your immune system. It is also vital to take steps to avoid known cold sore triggers while taking famciclovir. Any activities or behaviors that can reduce immune health should be avoided. Although antivirals are quite potent, you can cancel out many of their valuable benefits. Not all triggers can be avoided, but certain dietary choices that are high in arginine should be left out, for example. Give your physician a cursory overview of your daily habits and routines. Your doctor may suggest ways you can get the most out of your medication by making minor lifestyles changes. Topical creams are more popular because they are often used as the primary mode of care. This goes for standard initial outbreaks, infrequent recurrences, and outbreaks with minimal complication. Antiviral tablets are often introduced on the heels of a problem (improper healing) or a detailed history of aggressive recurrences. Tablets are also commonly administered if a herpes simplex virus (HSV-1) carrier has also been afflicted with an immune suppression disorder. The question of “effectiveness” is entirely subjective because individual cases and outbreaks can be very different. However, for episodic treatment, oral antiviral agents, such as famciclovir are superior to topical antiviral therapy. Although both potent antivirals used in the treatment of cold sores, famciclovir, and Valtrex have different functionality. Often used as a one-time treatment, famciclovir is prescribed to treat the earliest symptoms associated with an outbreak. Famciclovir can slow the replication and growth of HSV-1 cells and eliminate a “full blown” cold sore outbreak. On the contrary, Valtrex (valacyclovir) is a daily medication that can be taken for an extended period of time. Valtrex is designed to reduce the possibility of an outbreak rather than treat early and active symptoms. Valtrex helps to keep HSV-1 in a dormant state. Neither famciclovir or Valtrex is a cure for the herpes virus. These antivirals only provide different means of healing and prevention. Prescribed antiviral medications with the intent of treating and healing cold sores have a high success rate. Although most prescriptions are topical creams, antiviral tabs can provide relief that some OTC methods can not. Unlike traditional methods, antiviral tablets can provide a critical benefit to those who have immune system suppression. While strengthening your body is a standard way to keep cold sores at bay, some people do not have the ability to improve their health. This is where selections such as famciclovir and valacyclovir can be helpful. If you have found that top-rated over-the-counter cold sore treatments have proven ineffective, we encourage you to consult your physician. An antiviral prescription could be the solution to your frequent outbreaks. Leung, Alexander K.C. ; Barankin, Benjamin. Herpes Labialis: An Update. Bentham Science Publishers 2017; DOI: https://doi.org/10.2174/1872213X11666171003151717. Seo HM, Kim YS, Bang CH, Lee JH, Lee JY, Lee DG, Park YM. Antiviral prophylaxis for preventing herpes zoster in hematopoietic stem cell transplant recipients: A systematic review and meta-analysis. Antiviral Res. 2017; 140:106-115. doi: 10.1016/j.antiviral.2017.01.011.